You have found a nugget of pure gold! Just 13 km north of Alexandra lies rural Springvale. Travel up Golden Road and you're there: A country retreat, a modern house, a landscape in which you can lose yourself, yet find inspiration and peace. This property ticks all the boxes. 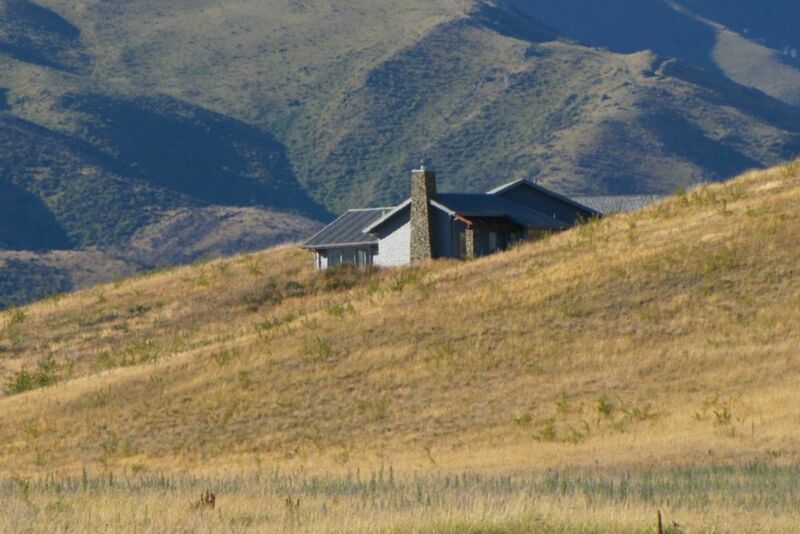 Modern, well-appointed and warm Maison D'Or is the ideal holiday home for your stay in Central Otago. Suitable for a large family or group of adults about to embark upon the famous Rail Trail, it is just 6 - 7 minutes from the Trail HQ at the western end of Springvale Road. The region is famous for its long summer days: warmth and steady conditions allow a full exploration of the region's attractions. Mountain biking trails, four wheel drive adventures, windsurfing or canoeing on Butchers Dam, boating and water skiing on Lake Dunstan, 18 holes of golf (and another 9 hole course at Clyde), tennis at Pioneer Park are just a few of the local activities available. In winter, the Alexandra Olympic-sized ice rink caters for ice hockey, curling and skating although if the Manorburn dam freezes then this huge area of ice offers an alternative and truly unique open-air skating experience. A little further afield lie four of the South Island's major ski fields, all within a 1.5 hour commute. The property is within easy reach of the Queenstown airport and the unique alpine destination of the lakeside town itself. The house is well-appointed with a nor’westerly aspect towards the Dunstan Mountains. Several ranch-sliders provide access from the open-plan kitchen / living area, the lounge and the master bedroom to the extensive patio. The internal access double garage allows for secure car and bicycle storage. Great value and location. Have stayed here multiple times. Beautiful home, and lovely hosts! Highly recommend. Stayed for our wedding over weekend and the boys got some great photos while getting ready there. A beautiful, comfortable property in a wonderful location with stunning views. We enjoyed our stay so much.